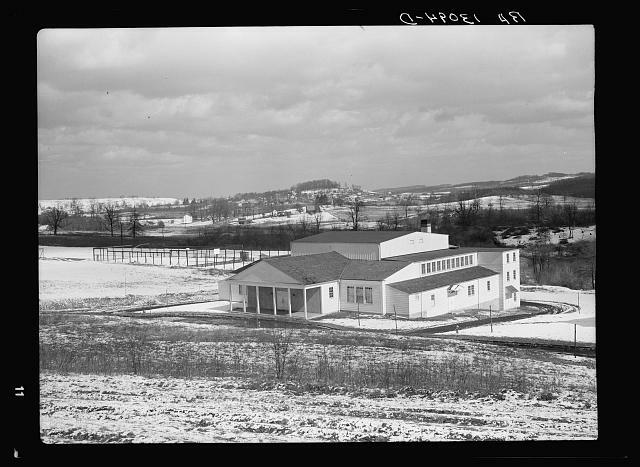 The First Ward School in Elkins was built in the early twentieth century. It served Randolph County students for almost the entire twentieth century. 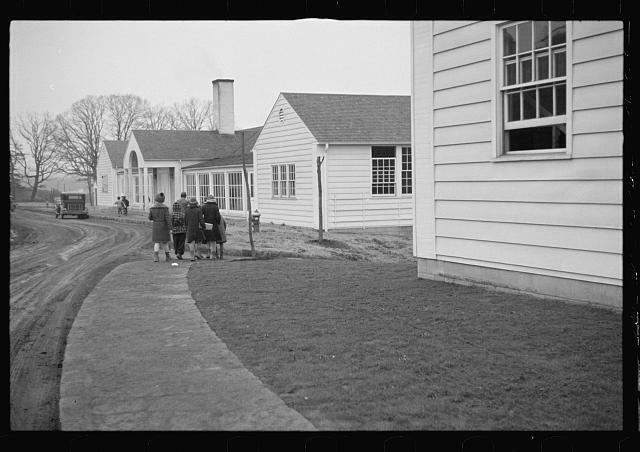 Eventually, it was turned into storage when new schools were built all over the county. In 2009, First Ward School was recognized on the revived WV Endangered Properties List. The school was deteriorating badly and in need of a new roof. This listing motivated partners to come together to revitalize this building. Partners included C-HOPE, the Randolph County Housing Authority, and AU Associates. In 2013, the First Ward School was preserved and converted into 16 affordable housing units for seniors. It is a preservation success story for Elkins and West Virginia. WBOY Channel 12 featured the First Ward School project recently, and PAWV awarded this project with the 2013 Best Use of Historic Preservation Tax Credits Award. Enjoy this video to learn more about the project. PAWV honors projects all over the state during the annual awards banquet. This year, the awards banquet will be held in Huntington at the Palms Reception Hall on Sept. 26, 2014, in conjunction with the historic preservation conference: From the Ground Up. Full details about the awards banquet and conference are available HERE. The banquet is open to everyone to attend. So even if you can’t make the conference, we encourage you to join us for a fun evening of drinks, dinner, and celebrating historic preservation partnerships like this one. In my last post I explained how I, a newly minted PAWV Preserve WV AmeriCorps member, was able to travel to Japan to interview a woodworker about his life, his craft, and his American friend, Janell Landis. As I knew very little Japanese going in, and my project partner, Paula, is a historian of Japan and has studied the language for nearly eight years, I decided to let her do the talking and relegated myself to equipment duty and appreciative observer of the sites. Skipping over the nitty-gritty travel details, I will say only that my first, and most lasting, impression of Japan was how clean everything was. On the train ride north from Tokyo it was nearly impossible to distinguish the old buildings from the new, not just because of a combination of government-led housing construction and modernist concrete architectural design, but because there was no trace of dirt on building walls from pollution and many structures seemed freshly painted—it was all so clean. Walking around the city of Sendai, and later Akiu, I remarked to my personal translator and cultural guide, Paula, that there was so little litter. And she replied that it always amazed her that, despite the fact that there are very few public garbage cans, littering is very frowned upon in Japanese society. People just carry their trash with them over the course of the day and throw it away at home or work. This was by far the most noticeable difference to me in terms of urban spaces, which I have spent a lot of time thinking about since my tenure at Main Street Fairmont. The town of Akiu. Here is a bridge crossing a famous landmark called the Rairai-kyo Gorge. Which I am told is redundant because kyo means gorge. The mountains of the Tohoku region where Sendai sits are surprisingly reminiscent of Appalachia. We were fortunate to come at a time of the year when everything was green and the weather was sunny and mild. As is evident above, I found the built environment of Japan to be fascinating, especially the small town of Akiu which had, in addition to the traditional Japanese inn where we stayed, several high-rise apartment buildings in a town of roughly four concentrated blocks. However, architecture was not the cultural resource we had come to document. Oral History is an energy-intensive process for interviewer and subject. We interviewed Hiroi-sensei for a total of 6 hours over two days. The rest of the time we spent at his home was taken up by exploring the work on sale in his shop, touring the other shops nearby, and meeting some of the people in Akiu who spend their time helping to preserve the artisan traditions of Japan. Hiroi-sensei lives in a planned neighborhood specially designed to house artisan masters and help them sell their art for a living. Each artisan lives in a small house with an adjoining shop. Other kinds of traditional Japanese artisans live and work in this ‘craft village’ as well. We were able to patronize two kokeshi doll makers, a woodworker, a furniture maker, a fabric artist, and others. The village also included an information center with some of the artisans’ work on display and free tea and coffee for visitors. On our last day at the Akiu Craft Park we were able to sit down and talk with a young couple who volunteer their time at the information center and manage the Akiu Craft Park Facebook page. The young man, Takahashi-san, works at the local TV station and produced several short documentaries about the artisans in Akiu, including Hiroi-sensei. These young people are working consciously to promote Akiu, Sendai, and the larger Tohoku region as a viable tourist destination for Japanese people. The Japanese economy is significantly boosted by domestic tourism, but since the Tohoku earthquake and tsunami that hit Sendai in 2011, many Japanese people have been avoiding travel to the region. By educating the public on the availability of traditional crafts in Akiu, the community there hopes to foster an atmosphere of preservation. ​In his own way, Hiroi-sensei is also a preservationist, his family has passed down the particular way of making edo-goma, and he is passing it down to apprentices, like Janell and the two young people he is currently teaching, Maida-san and Misa-san. His process and materials are the same as those his father used and therefore, that process and the artworks he creates can be a similar window into history as any historical work of art or architecture. His process is interpretation while at the same time his art can be interpreted: though not historical themselves, they are artifacts ofhistory. We hope that, through our own efforts and those of Takahashi-san and others like him, traditional artisans like Hiroi-sensei and his neighbors will continue to practice their work and enrich Japanese culture for generations to come. In my two terms of AmeriCorps, one of the most exciting aspects of the program, for me, has been meeting new people who are taking on meaningful projects and networking with them. There are so many venues for AmeriCorps members to help each other with their projects and initiatives. Simply being in such a cooperative atmosphere can rub off on your other networks as well, and like-minded advocates and go-getters can be found in the most surprising places. Before I began my service with PAWV’s Preserve WV program, I had started working with Paula R. Curtis on Carving Community: The Landis and Hiroi Collection as a favor to friend, and as a fun side project during my job search. When we started the project, we had no idea how far it would take us. Paula is an incredibly impressive and smart person who was my sister’s roommate in college and is currently a PhD candidate in History at the University of Michigan and a Fulbright scholar. She runs a widely read blog entitled “What Can I Do with a BA in Japanese Studies?” That blog was the way a woman named Jane Heald first got in contact with Paula on behalf of her neighbor, Janell Landis. Janell is a former missionary who spent over thirty years living in Japan and teaching English at a women’s university in the region of Sendai. In 1981, after she had already been in Japan for nearly three decades, Janell met a local artisan who makes edo-goma(traditional spinning-tops) and began learning his craft. Janell gets such joy from these little wooden art-pieces that she has amassed a collection of nearly two hundred distinct tops. Several of Hiroi-sensei’s tops on Jan’s kitchen table. Preview! Paula, Janell and three of her former students in our room at the Satoya Inn in Akiu. At 87, she began to think of the future of these precious items and wanted to find a museum to which she could donate them. She turned to Jane and Jane, after a simple Google search, turned to Paula. Paula was so intrigued by Janell’s story that she turned to me. As a graduate student in Public History, I gained some experience with oral history. Thus, Paula’s idea was to interview Janell as a kind of PR for the collection. We toyed with the idea of writing a journal article with the information from the interview, but decided that the publishing process would likely take too long and there could be no assurance that we would be printed at all. I turned to my advisor from graduate school who gave us the idea of an online “exhibit” website of our findings in the interview. The project never would have begun without the incredible network of each person involved. In October, Paula and I travelled to Janell’s home in Tennessee and conducted the interview over three days. There was much to discuss including her life in the US during World War II, her decision to become a missionary, her training, her life in Japan, how she met her sensei and what his work meant to her. She demonstrated the workings of the tops and introduced us to some of the people in her community who had also spent time in Japan. She asked us if we would be willing to travel with her to Japan when she planned to visit for the last time in May. We were evasive: how could we afford to? But the idea was planted in our minds, and it opened up the possibility of filling in the gaps of the narrative we started. If we could interview her sensei, Hiroi Michiaki, we could understand his intent in creating each piece and his history with his only American and first female pupil. Thus, instead of transcribing the interview we had and posting the video we had taken in Tennessee, we devoted our time to writing grants and promoting a successful Kickstarter campaign aimed at buying the AV equipment we would need to take with us. With a generous grant from Paula’s department at Michigan and a little more money from the Kickstarter than our original goal, we both joined Janell in her journey from Nashville to Sendai, Japan. This was a project that started with nothing: an email from a retired woman on behalf of her friend that resulted in an international journey and a museum home for Janell’s collection. Thanks to another member of Paula’s University network, the Morikami Museum in Delray Beach, Florida will be adding Hiroi’s tops to their collection of traditional Japanese art works. Janell is overjoyed that people from all over the country will be able to view and appreciate the work of her teacher and friend. In Part 2, I will discuss my impressions of Japan, our interview with Hiroi-sensei, and some surprising preservation work going on in the town of Akiu, Japan. Charles Yuill works with landscape architecture and environmental design at the Davis College at West Virginia University. His presentation, designed with colleagues Peter Butler and Adam Rielly, focuses on the use of terrestrial laser scanning for heritage and cultural resources. He will delve into case studies including Fallingwater, Arthurdale, the Virginia Iron Furnace, and Blennerhasset Island that have used airborne and terrestrial laser scanning with GPS within these sites. In his presentation, Yuill will focus on the application of drone use to historic structures and landscapes of West Virginia. Don’t miss it! Register for the conference at our EventBrite page. Today’s Insider Look into the PAWV 2014 Historic Preservation Conference is about using archeology to bring tourists to your site. The conference is given every two years at a different host city. This year it is being held in Huntington, WV, September 25-27, 2014. For a full conference agenda, click HERE. To register for the conference, visit our EventBrite page. Archaeology can be used to bring locals and tourists to your site. Work on mitigation or educational excavations are both types of archaeology which can bring interested parties and perhaps a whole new group of enthusiasts to you. This year, the West Virginia Statewide Historic Preservation Conference will focus on archeology and brownfields re-use. To this end, we welcome Alison Thornton M.A., who will educate attendees on using archeology as a powerful tool to increase involvement within organizations or historic sites. In her presentation, Ms. Thornton will use real world success stories to help demonstrate ways in which a wide variety of organizations can benefit from archeology tourism. She will start from the beginning with identifying resources and sites, meeting State Historic Preservation Office regulations, and different types of archeology. Her presentation will also highlight the very important process of advertising the experience and gaining awareness to further increase interest in your project. Potential visitors can be enticed by kids’ programs, using volunteers for excavation, active interpretation at the site, interpretation post-excavation, and setting up days for tourists and community members to visit the site and see real archaeology in action. Finally, the discussion will address using artifacts for future interpretation, benefits and drawbacks to excavation, and how to move forward after the excavation is complete. Ms. Thornton M.A. has a wealth of academic and field archeology experience. Alison Thornton has a Bachelor’s degree in archaeology from Arizona State University and a Master’s degree from Western Michigan University. Recently, she brought her skills to serve the Beverly Heritage Center in Beverly, West Virginia through the Appalachian Forest Heritage Area’s AmeriCorps program. There, one of her projects involved leading an educational excavation at the Collett House. ​The activity has been financed in part with Federal funds from the National Park Service, Department of the Interior and the WV Division of Culture & History, State Historic Preservation Office. The Riverside African-American School in Elkins opened in 1906 as a simple one floor brick building. In 1925, a second floor was added. What makes this building highly significant is its history as the educational forum for the Black and Native American populations of Randolph County and surrounding areas for five decades. PAWV added the historic school to the WV Endangered Properties List in 2010 because of deterioration. Since this listing, the Riverside School Association has purchased the building and made tremendous headway in stabilizing the building and working to create the multi-cultural heritage center. The Association holds a special fundraiser, the Riverside Blues Fest, every July to raise money for the building preservation project. To learn more about the history of the school, watch the special WBOY Channel 12 segment. The Waldo Hotel is located in Clarksburg, WV. It was one of the grandest hotels in the region when it was built in the early 1900s. PAWV added it to the WV Endangered Properties List in 2009. Since its listing, there have been many ups and downs. Many local citizens wanted to demolish the building – seeing it as a safety hazard and an eyesore. However, a group of dedicated volunteers, the Waldo Hotel Preservation Society, have the vision to preserve and adapt this building for modern needs. The Waldo Hotel Preservation Society has been fundraising and working with developers to re-use this building. In May 2014, the Society announced that the property is currently under contract for eventual purchase by a capable party that is already working to repair and redevelop the building. Learn more about the property and the project in the WBOY Channel 12 video. The WV Endangered Properties List was revived in 2009 after PAWV received a three-year Partners in the Field grant from the National Trust for Historic Preservation. This grant ended in 2012, and PAWV has maintained this program, without additional grant funding. We rely on membership donations to keep this program alive. If you are interested in becoming a member of PAWV, visit our PayPal page HERE. ​PAWV’s 2014 Historic Preservation Conference is coming up in a few months. Our conference is held every two years and features a different city and theme each year. This year’s city is Huntington, and the theme demonstrates how archaeology and brownfield re-use intersect with historic preservation. We’re featuring special insider blogs into some of the conference sessions. The conference is being held in Huntington, WV, September 25-27, 2014. A full conference schedule is available HERE. You can register for the conference at our EventBrite page. Register today! You won’t want to miss this conference. Jesse Richardson to present at the Statewide Historic Preservation Conference. According to the American Community Survey, 58,106 units, or 1/14 of the homes, in West Virginia fall are vacant, abandoned and/or dilapidated. Many of these buildings are either historic or lie within historic neighborhoods. In addition, some of these properties can be classified as brownfields. Local governments in West Virginia are primarily responsible for determining how to deal with these issues and prioritizing which properties to address. Mr. Richardson’s presentation will describes the tools that local governments can use to effectively preserve historic properties that are vacant, abandoned, dilapidated and/or brownfields. Richardson’s presentation will discuss how citizens can engage with the local government to promote preservation of historic properties. This discussion will include regulation of unsafe and unsanitary buildings, registration programs, and land banks, all of which are authorized and presently used in West Virginia. The presentation will also provide examples of tools used in other states but not presently in use in West Virginia. During the week of June 16th to the 20th, I set out to participate in a hands on preservation project in the Monongahela National Forest. The project was focused on rehabilitating a historic shelter on the top of a high, overlooking mountain. I was joined by one other PreserveWV AmeriCorps member, Sami, as well as the Preservation Alliance’s VISTA, Alex. We experienced various levels of accomplishment throughout the week. Undeniable however, we found the work was honest and progress was evident, but in real life projects, there is no telling what surprises you’ll find. HistoriCorps volunteers for the second week. 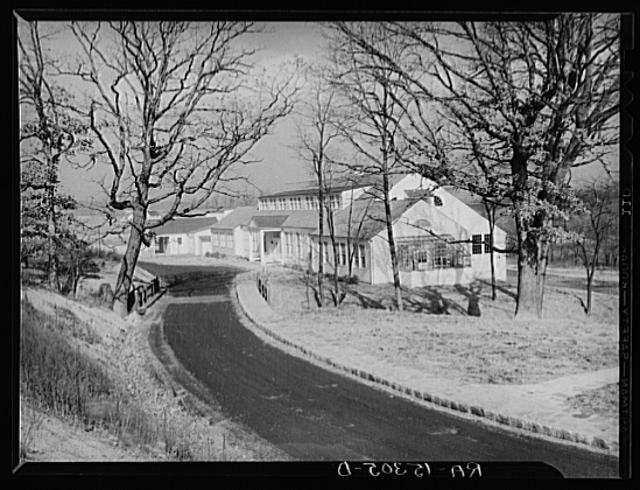 The site chosen for this project was a historic Civilian Conservation Corps (CCC) built shelter. The cabin is located on the top of a high ridge point giving 360 degree views of the surrounding forest. Because of this location, the shelter was used by forest fire patrols surveying the area from above in the nearby fire tower. The cabin was built by the CCC around 1931. It is made up of one main room, a small front porch, and attic area above the living space. There is evidence of wood stoves but due to vandalism, all that remained inside were a cabinet and limited shelving. Our project was organized and administered by HistoriCorps through the Monongahela National Forest Service. HistoriCorps is a national initiative engaging volunteer workforces in historic preservation projects on public and publicly accessible lands. Based in the Rocky Mountain region, they are able to coordinate and instruct projects throughout the United States. However, this was their first project in the Mid-Atlantic. Volunteers and students work with trades specialists to preserve historic resources on and near public lands. When I arrived for my second week session of the three week project timeline, most of the demolition work had been completed. Old window sashes had been removed, old shingling was torn off the roof, and much of the paint scraping and sanding was complete. We began cleaning up trim pieces and wood window pieces. To our surprise, we found the new wooden windows ordered by the park service were much too big for the frame. Project supervisor, John Rossi, led me through the process to measure and cut down the sashes. I learned to assemble to rail system and eventually installed all three windows. Next, I moved on to installing the new wooden door. However, we found that the door was too thick and not wide enough. To solve this next surprise, we learned about building up the door jam and used wood chisels to reduce the area of the door where the hinges would attach. Finally attaching the door was my final project for the week. ​I left with a sense of accomplishment. I was somewhat disappointed by the amount of rebuild work completed during our week, but realize we had many aspects to adjust. Real life projects like the Hopkins Mountain shelter involve constant problem solving. I am grateful to the patience of Mr. Rossi and the overall spirit of the HistoriCorps crew. I definitely took away some woodworking techniques and a heightened enthusiasm for hands on preservation work.